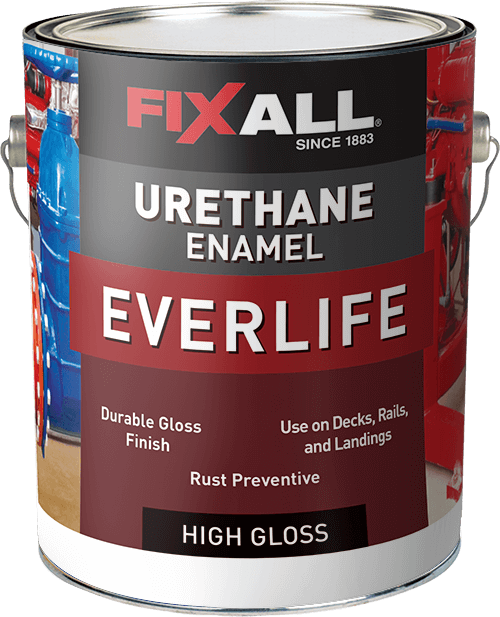 Everlife High Gloss Urethane Enamel is a durable, rust inhibitive enamel for use on substrates requiring a beautiful gloss look and unsurpassed protection. This enamel dries quickly to a tough high gloss finish and applies easily with brush, roller or spray. Metal: Cabinets, Furniture, Decks, Ramps, Equipment, Machinery, Tools, Toys, etc.